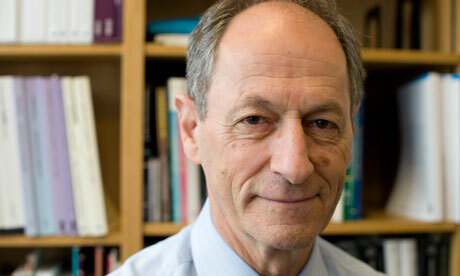 This morning’s Desert Island discs featured the amazing Sir Michael Marmot, Professor of Epidemiology and Public Health and Director of the Institute of Health Equity at University College London. Marmot specialises in what are known as the social determinants of health: how where we are in the wealth and status pecking order directly influences our chances of illness, disease and lifespan. Why is it, for example, that in 2014 in the same British city the average life expectancy for a man in one post code will be 82 but just a few miles away it’s 54? Marmot’s most influential research dates back to the late seventies when he carried out a longitudinal study examining rates of heart disease in British civil servants. What he found directly contradicted previous understandings of the relationship between stress and heart disease. The expectation was that seniority and stress were a recipe for higher levels of heart disease. The opposite turned out to be the case. It was the civil servants in lower grade positions who suffered the highest rates of heart disease. Men in the lowest grade of job – messengers – had 3.6 times the level of coronary heart disease mortality of men in the highest employment grade. This finding remained significant when variables such as poor diet and smoking were taken into account. The conclusion drawn from this and several subsequent studies was the importance of control. Workers who felt that they had some control over their jobs were happier and healthier. In contrast, workers who felt they had no control over their jobs and therefore, over their lives, were more likely to develop heart disease. I’ve long been an admirer of his work, but what struck me most about his Desert Island Discs interview was not his fascinating research, but the fact that he has clearly been married to the same woman since he was a young man. He described how they met when he was a junior doctor at an Australian hospital and how they then set out on the hippy trail through India and Nepal, acquiring a love of Indian culture and music as they travelled. They ended up at Berkley, living in San Francisco in a little house overlooking the Golden Gate Bridge, where they would spend Sunday mornings listening to Ravi Shankar and enjoying the view. His wife was an architect and he was doing a PhD and they worked there for several years and then came back to the UK where they raised their children, all of whom appear to be rounded individuals. What I loved about this narrative was the way in which the threads of their early relationship were gradually woven into a rich tapestry which encompassed a shared history going back decades, rich in memories and shared experiences. Marmot’s knowledge of public health has probably given him a greater understanding of the mental and physical benefits of marital stability, but still, it is depressingly rare to hear a man in his late sixties talking with such fondness about the rewards of a shared life. I envy Marmot and his wife, not only for the wonderful life they have lived together, but also for the legacy that they have created for their children – having parents who stay together is the greatest predictor of marital stability in a child’s adult relationships. That Marmot and his wife were able to sustain a happy healthy long term relationship will probably never be acknowledged in the same way that his research has been recognised, but to my mind it is as great an achievement, if not greater.